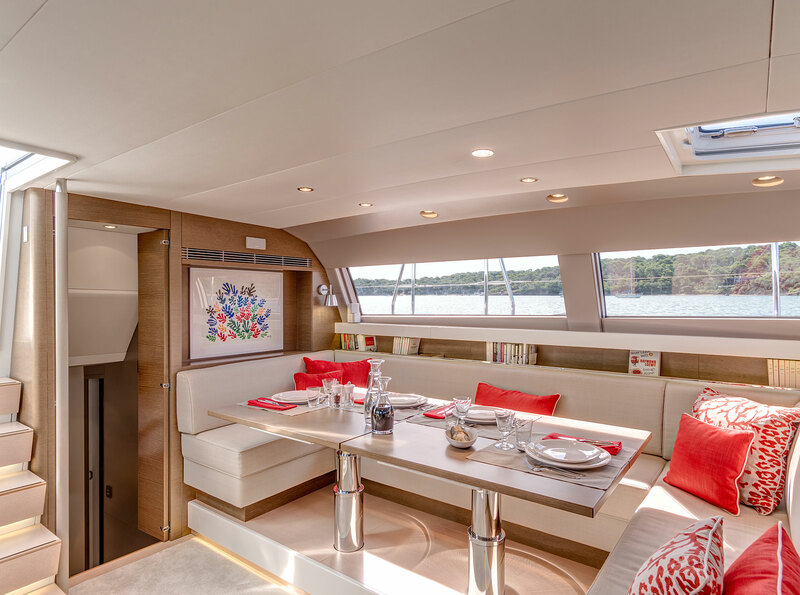 Since the launch of the CNB 76, there is a mark inaugurating a new-generation coachroof. 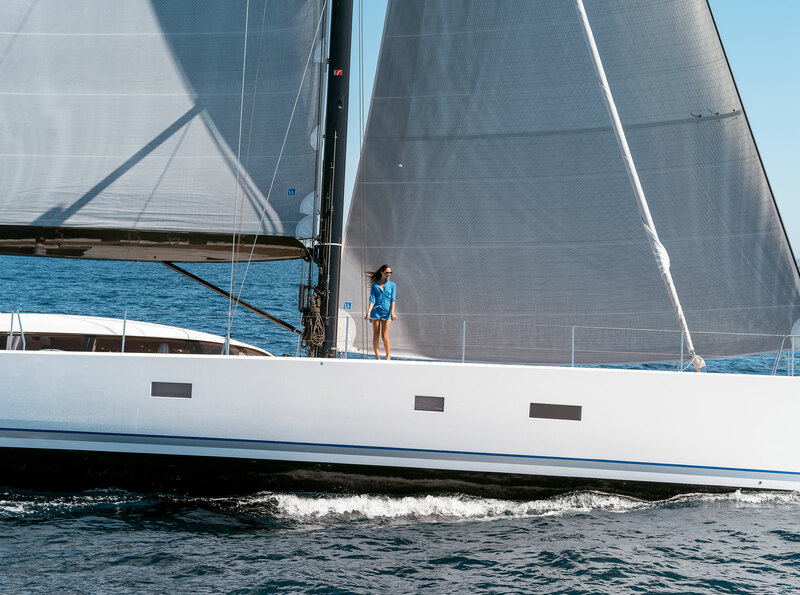 She represents a revolution in the relationship with space and the sea. 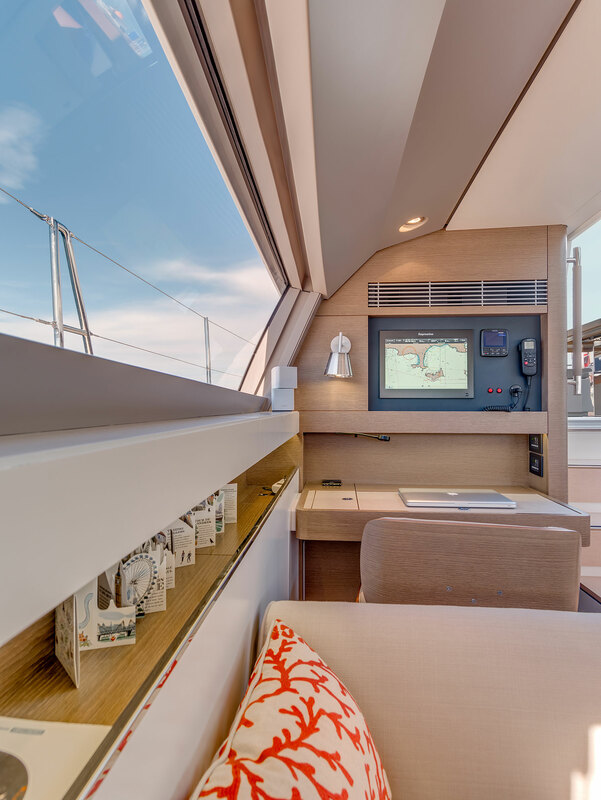 Who would guess that behind these flowing lines there is more than two metres of standing headroom in the saloon, from which there is a perfect view of the outside world? 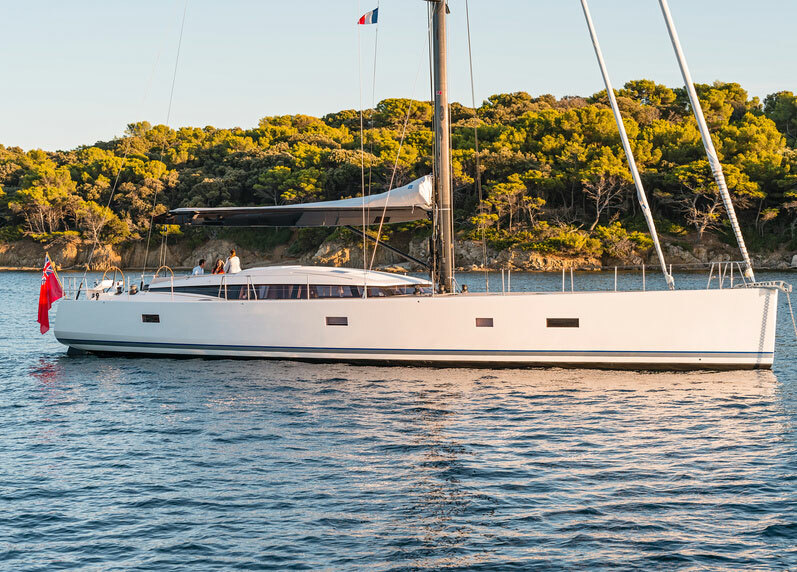 Philippe Briand devotes all his know-how to the CNB 76, creating a yacht of masterful proportions, which suites to all roles. 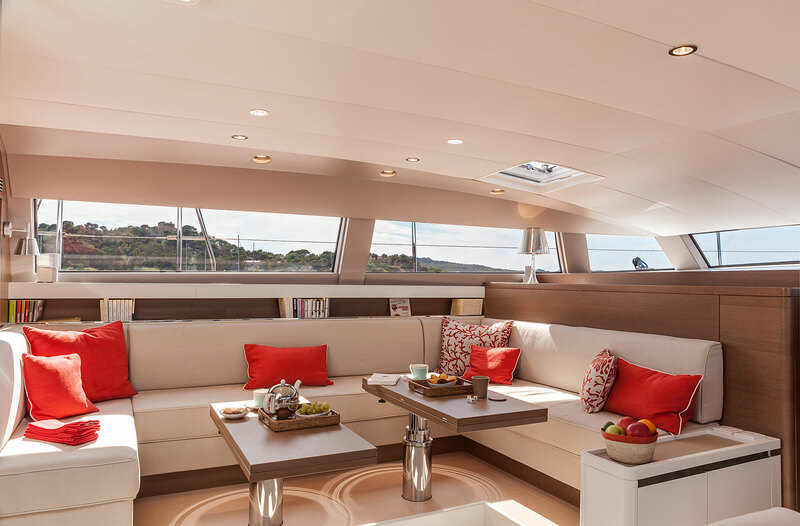 Designed from the outset so a small crew can be able to operate it, she can also comfortably accommodate a couple of professional crew. 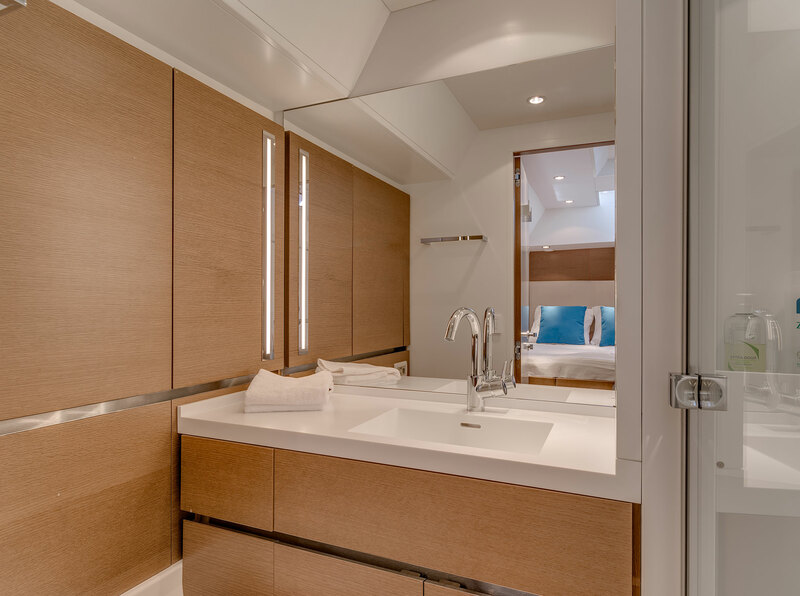 Access to the galley and to a generous cabin through the cockpit offers the crew genuine privacy. 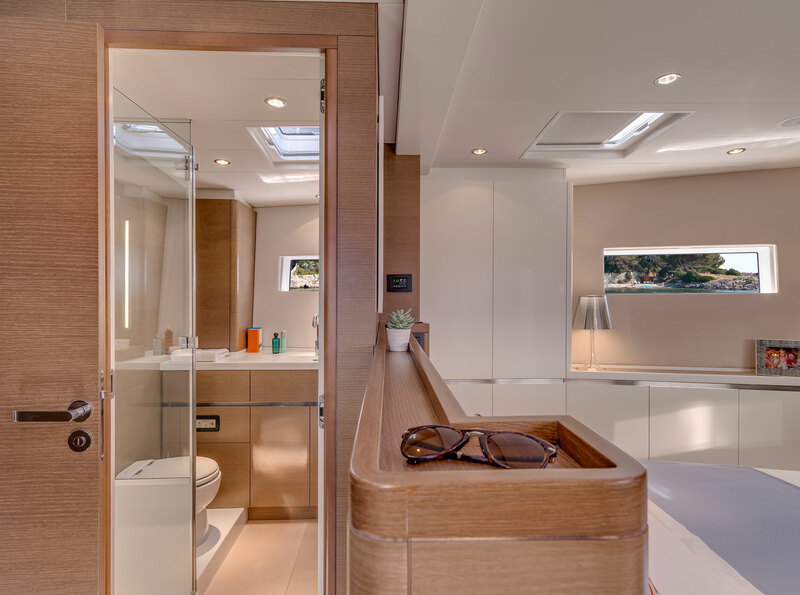 Forward of the saloon, the owner has a very spacious and comfortable suite, furthermore, there are still two very good cabins amidships for guests. 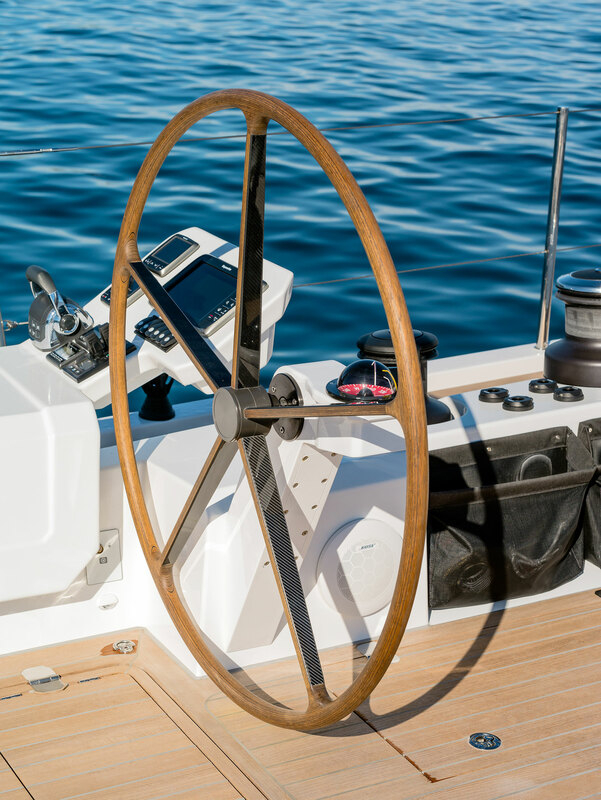 The dual role is also reflected on deck: the massive guest cockpit is never obstructed by controls, which are sent back to the area around the helm stations, above the side decks. 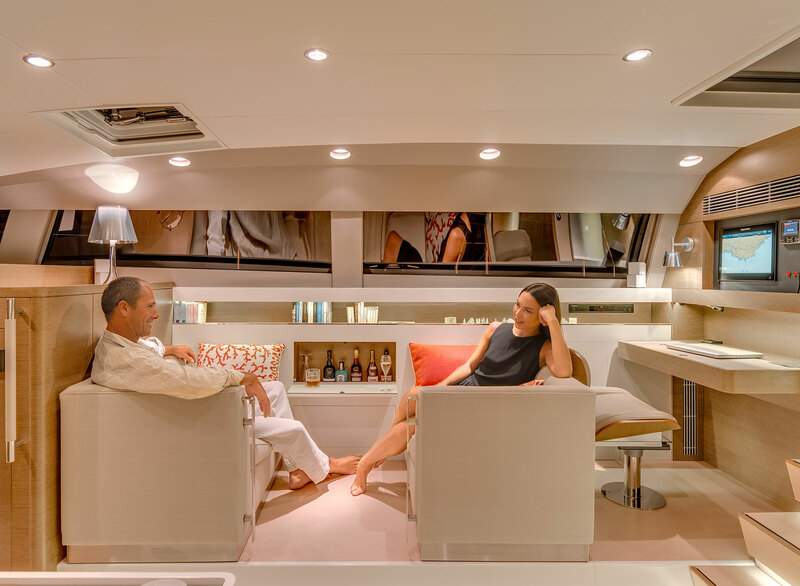 On board, everything is treated as on a One-off. 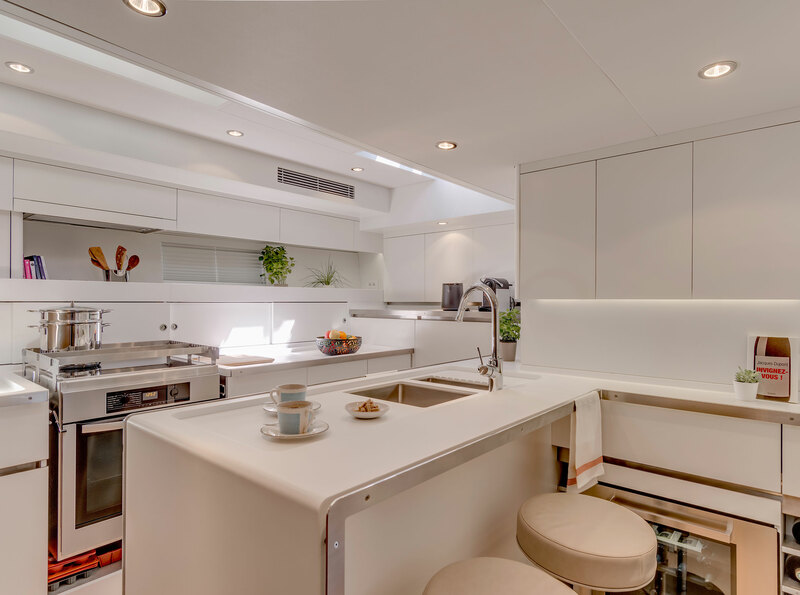 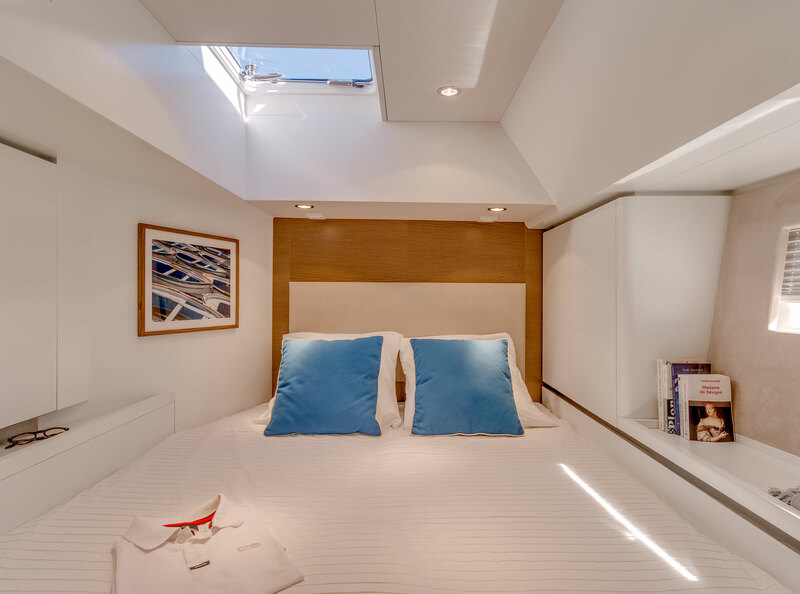 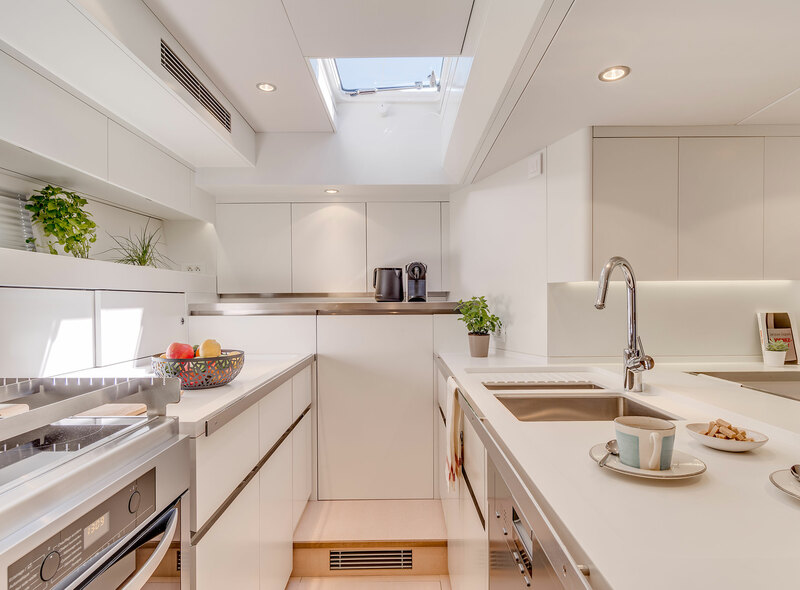 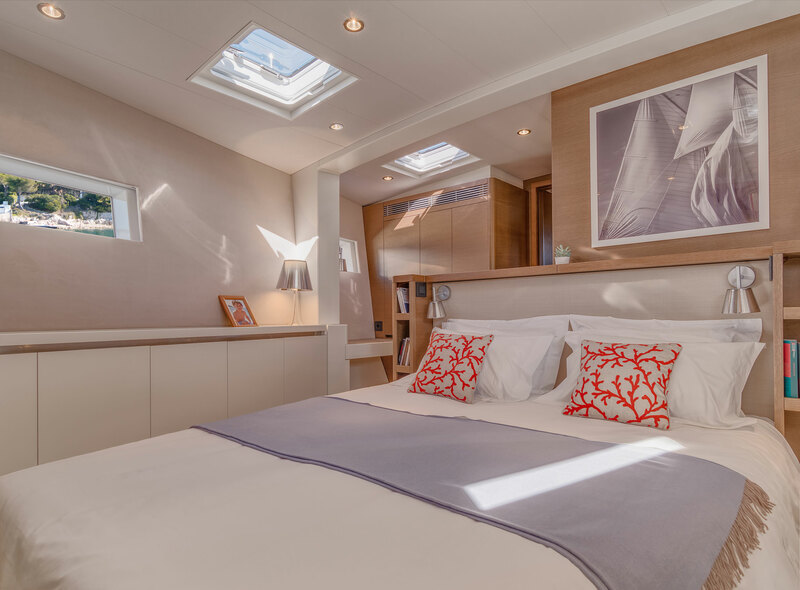 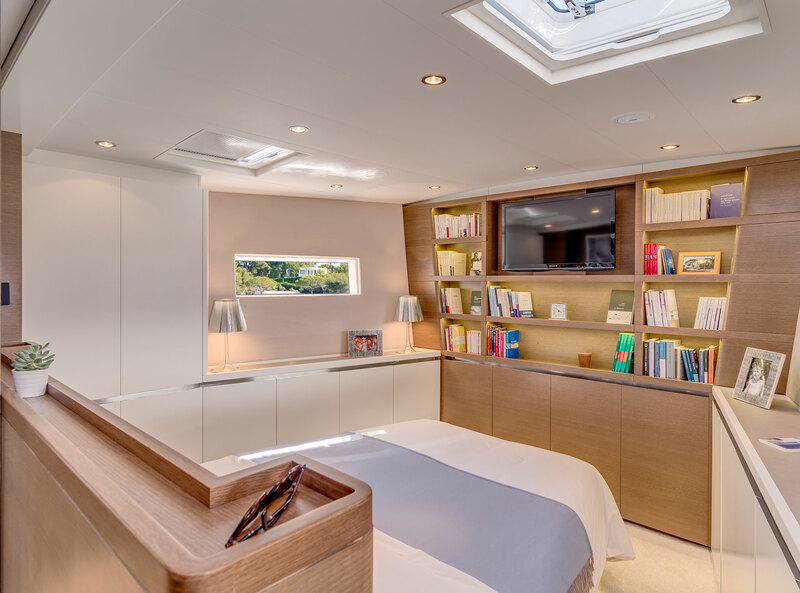 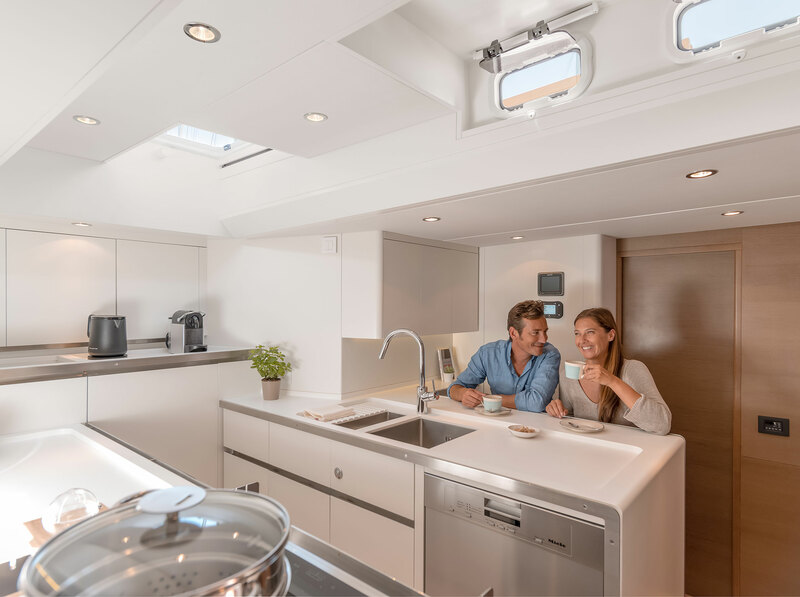 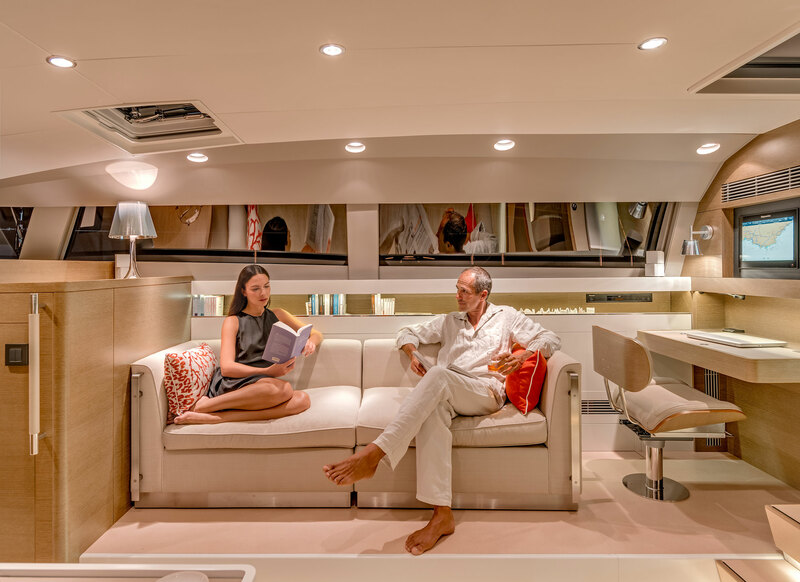 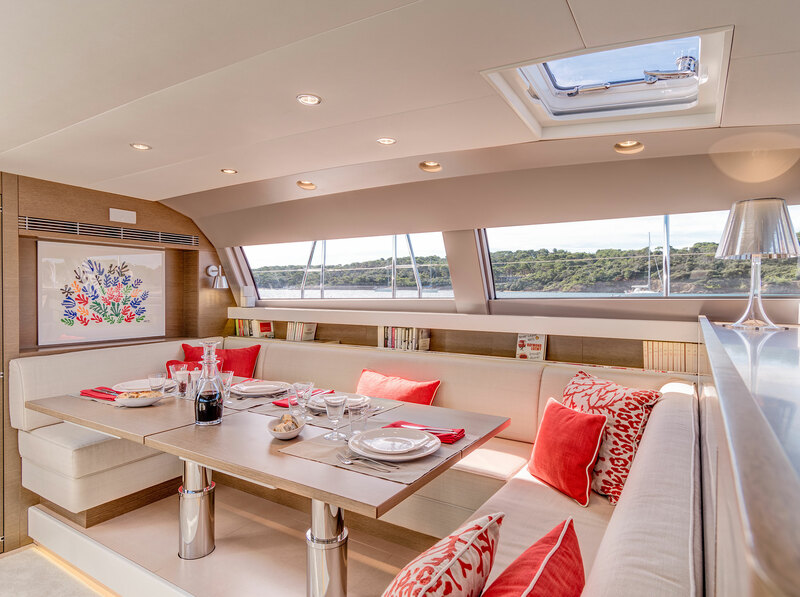 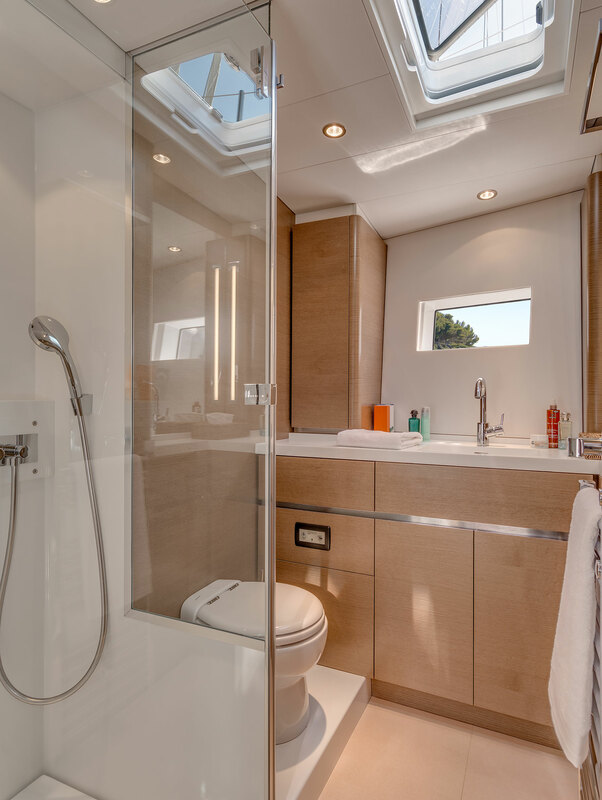 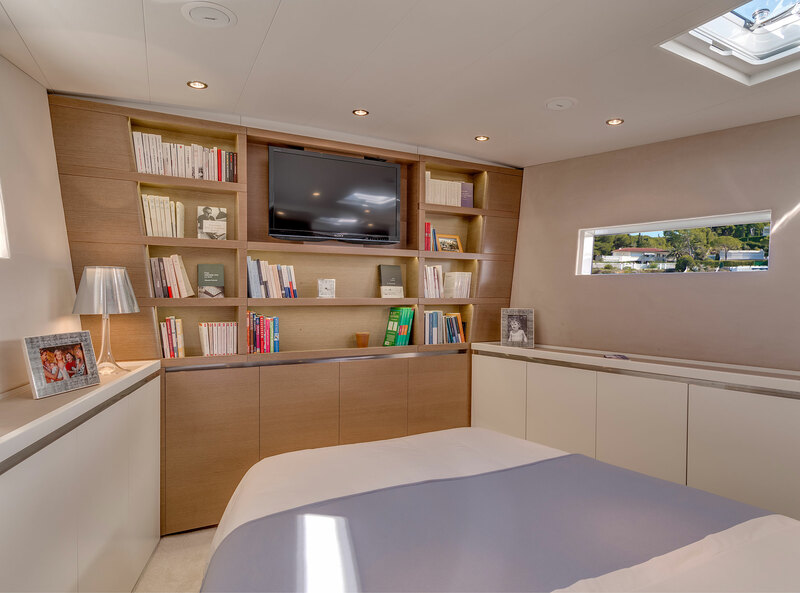 The professional fitting out of the galley, the light-filled environment and even the soundproofing of the engine-room. 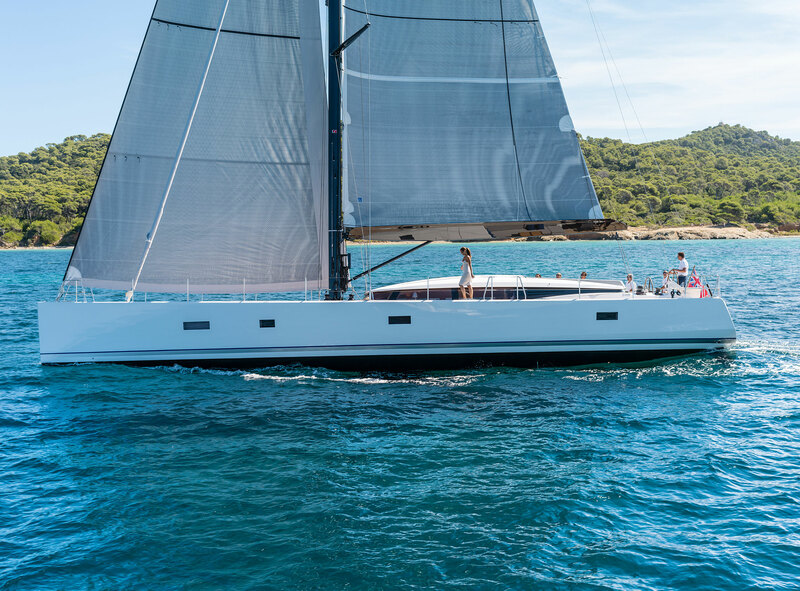 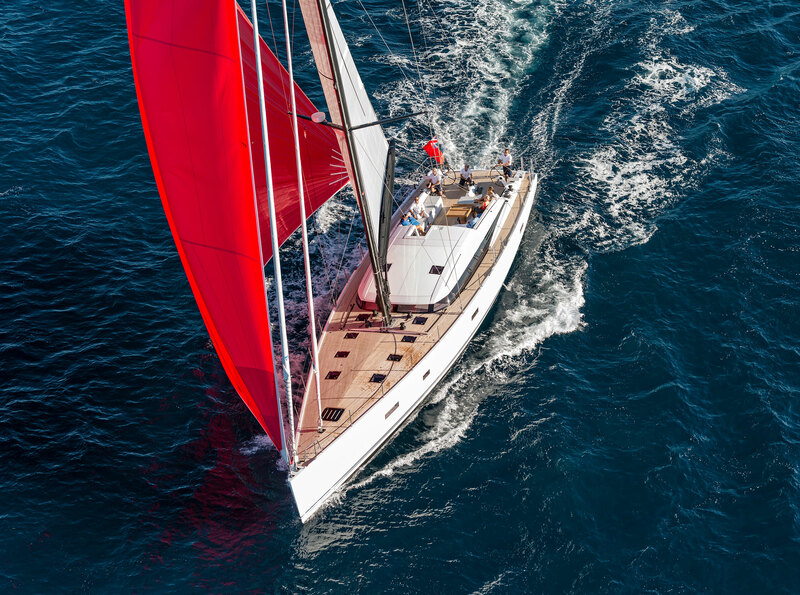 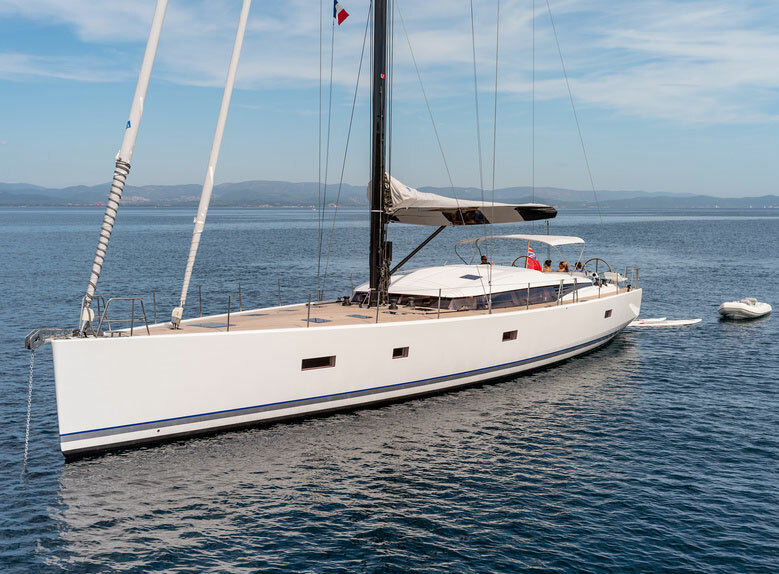 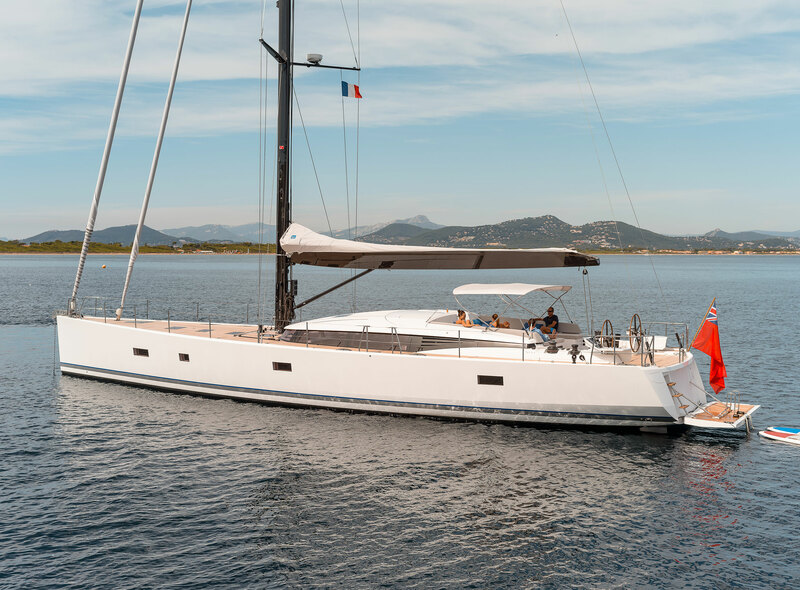 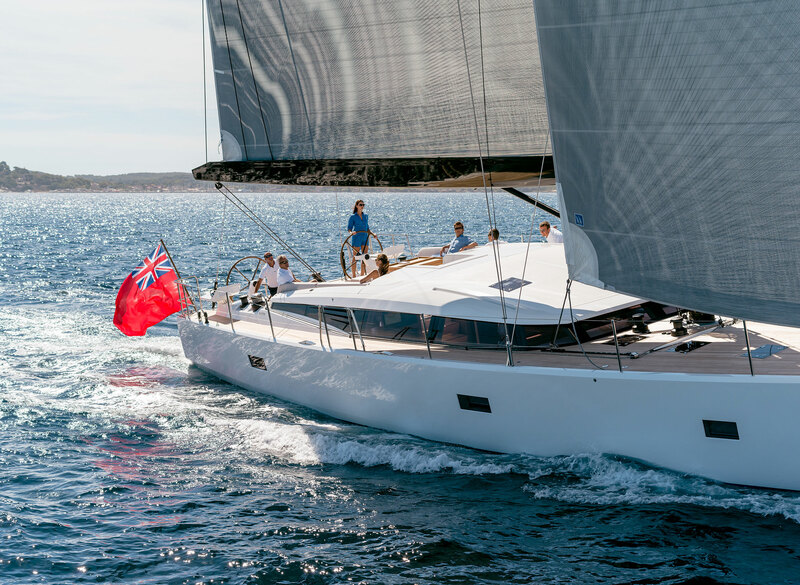 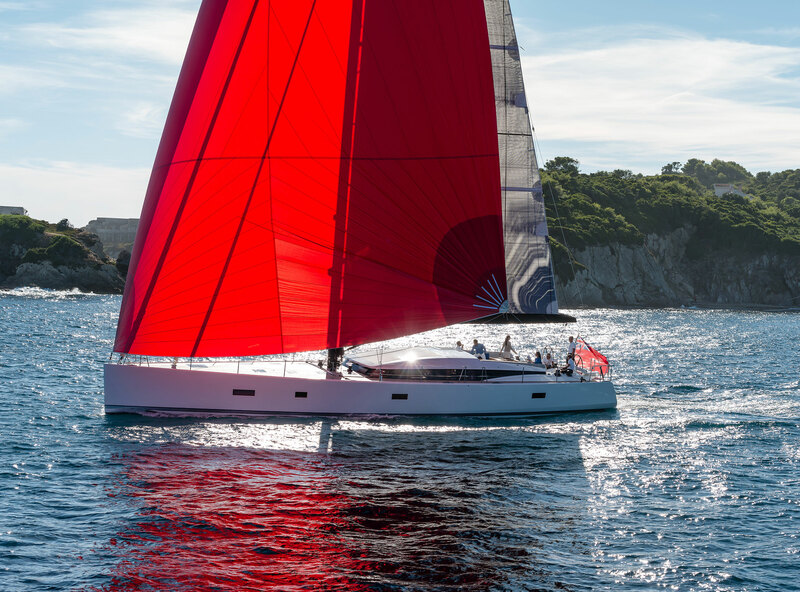 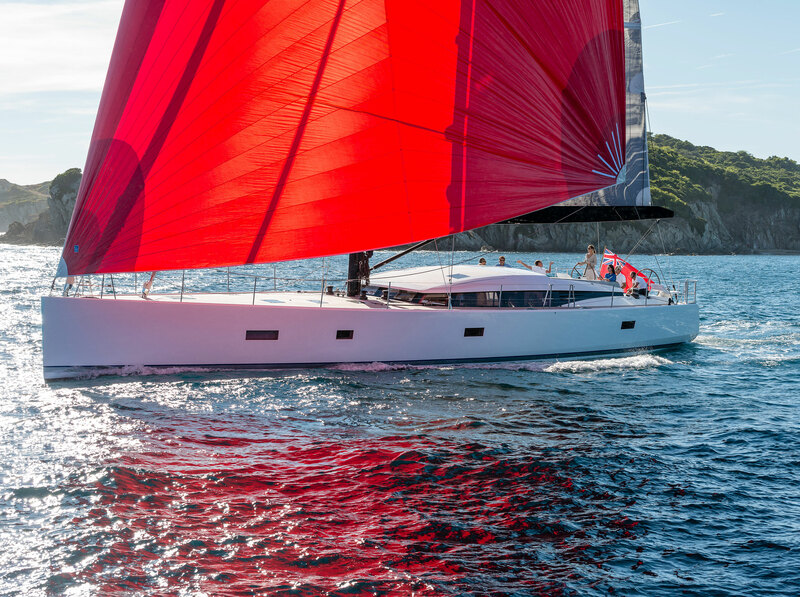 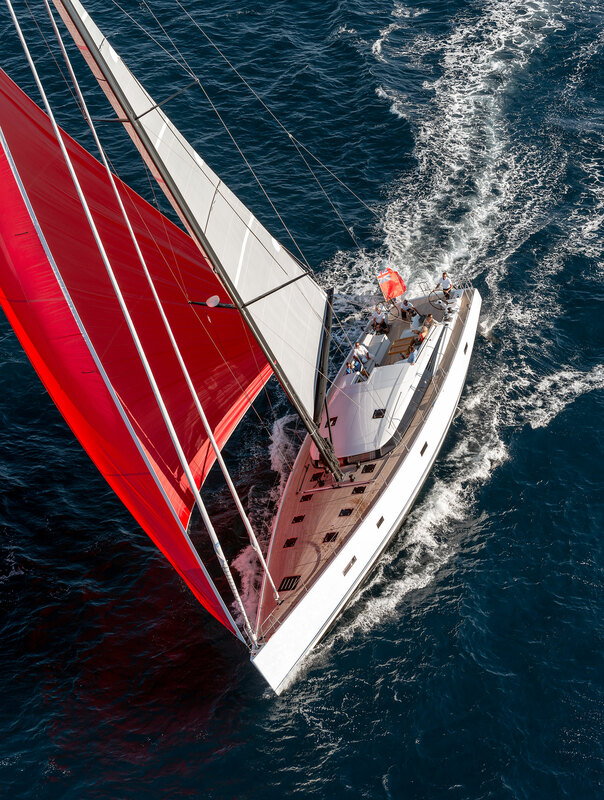 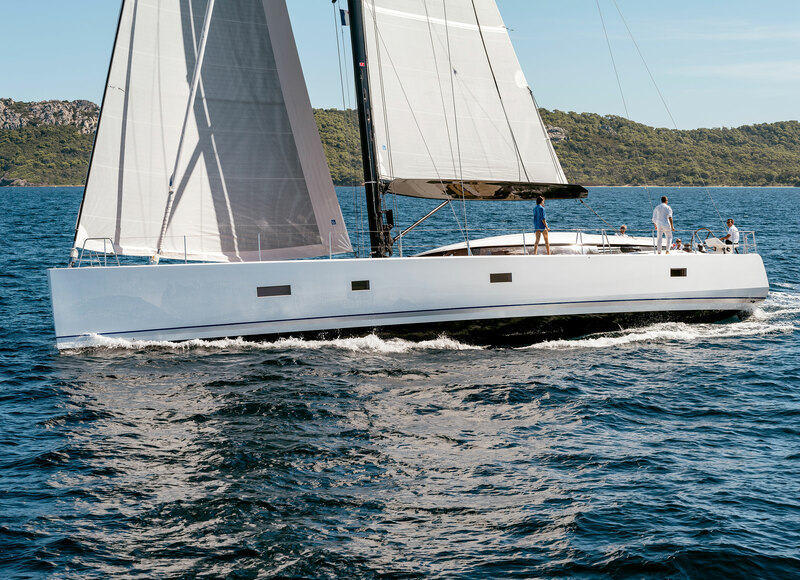 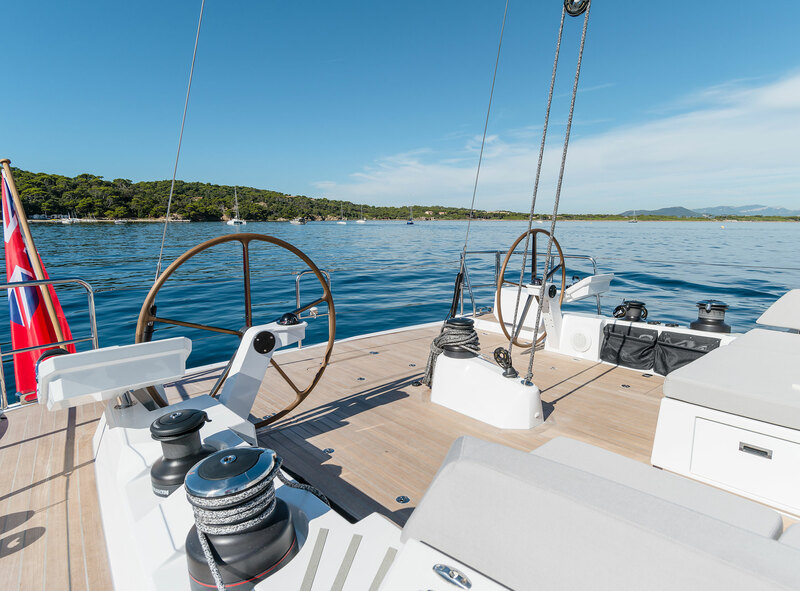 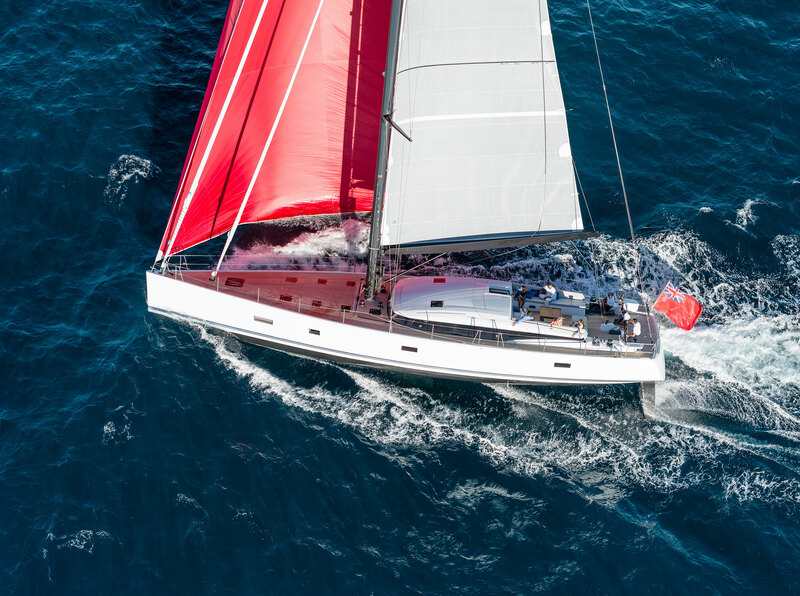 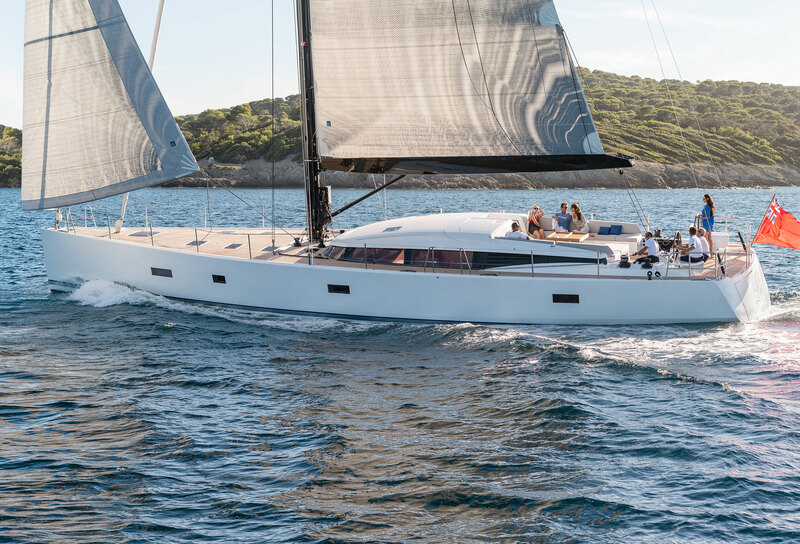 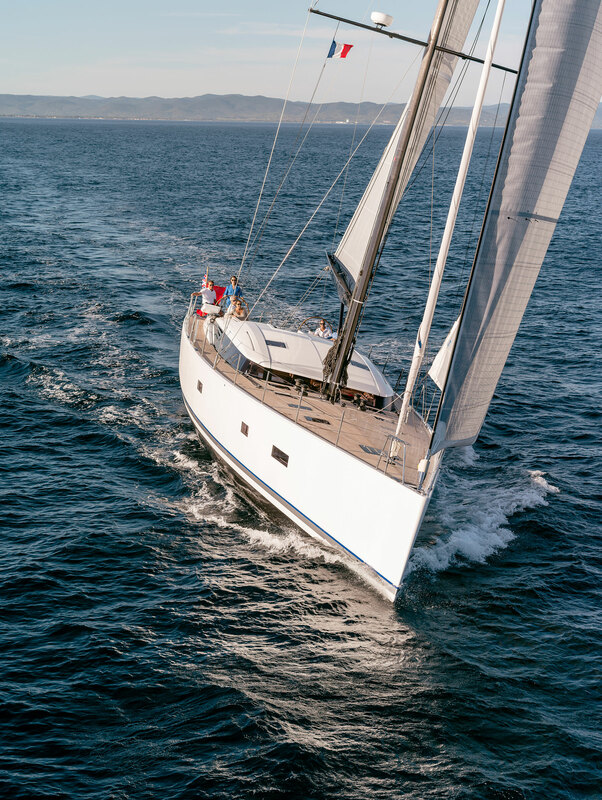 Moreover, the integral garage enables a 3.85-m tender with its engine to stow in less than a minute, an arrangement generally present in a 90-foot monohull. 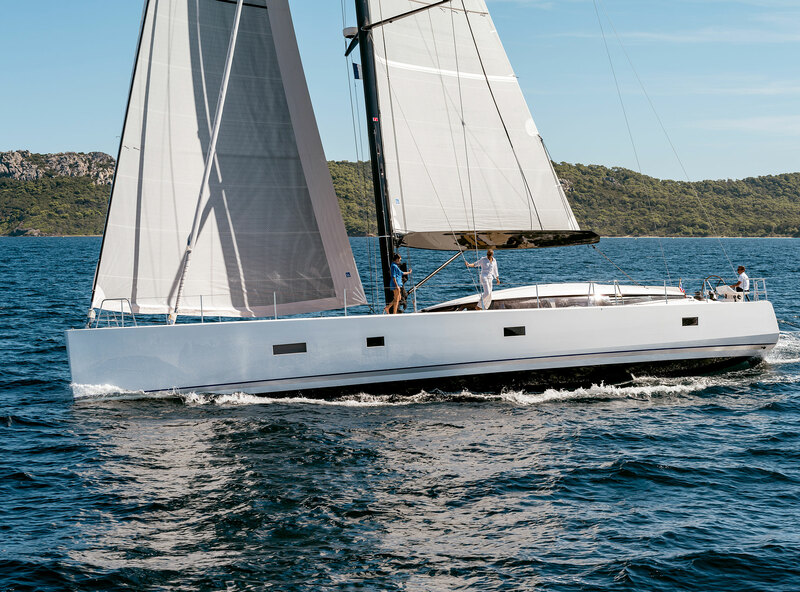 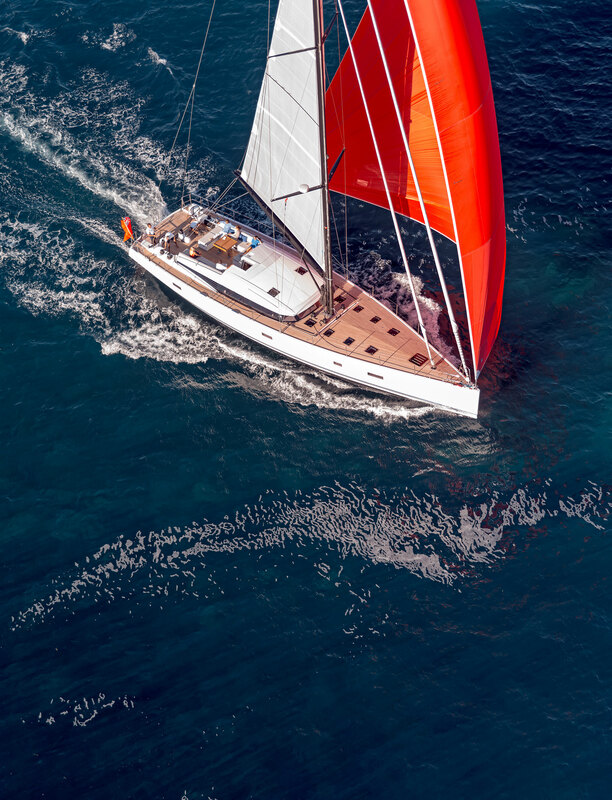 The first model dates back to 2014, after six months of offshore trials. 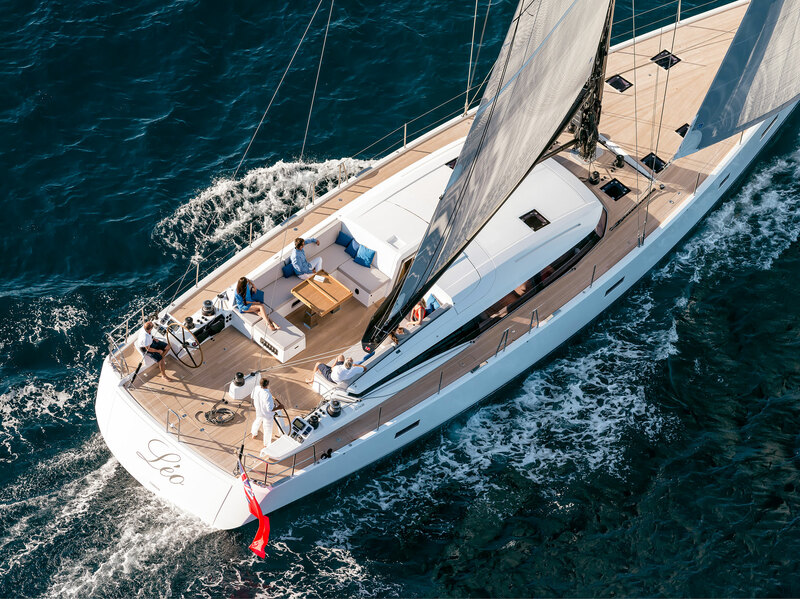 Since then, many CNB 76s have already been built. 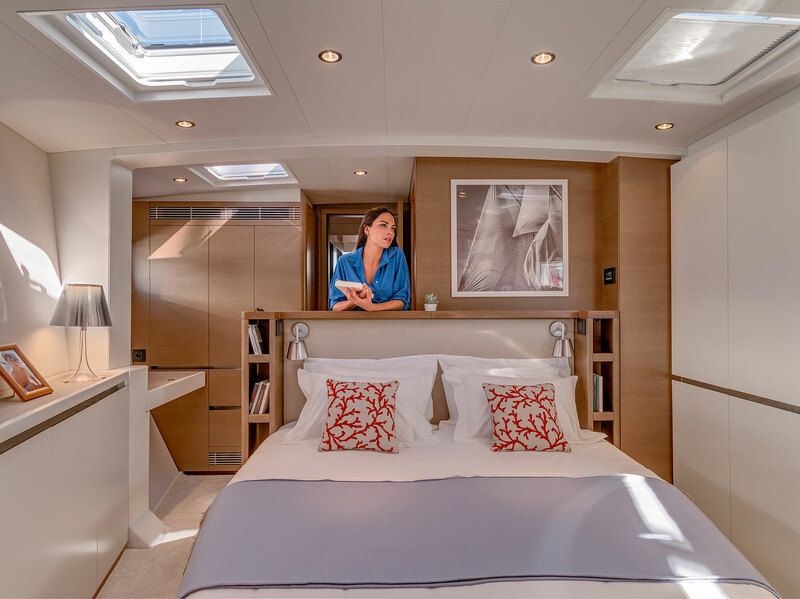 With the luxury of her amenities and her extensive customisation options, she is the direct descendant of CNB’s One-offs.